Photos from Old signings at Hue-Man Bookstore.. 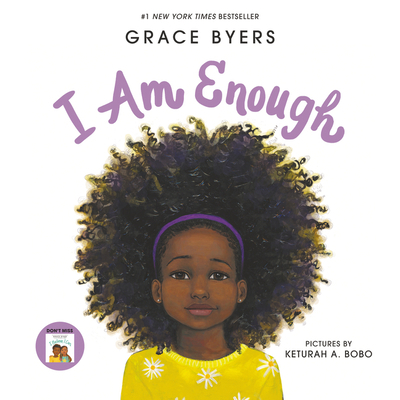 I Am Enough is the picture book everyone needs, and it's now a New York Times bestseller and the picture book winner in the Goodreads Choice Awards! Grace Byers is an actor and activist who stars in Fox’s hit series Empire. As a multiracial young girl and a CODA (Child of Deaf Adults), Grace was bullied throughout her childhood. This book was born out of her desire to empower young girls against the effects of bullying. In her spare time, she volunteers with the nonprofit antibullying organization Saving Our Daughters. She lives in Los Angeles with her husband, actor Trai Byers. I Am Enough is her first book. Keturah A. Bobo is an artist whose dedication to creating vibrant images that depict diversity has gained her attention worldwide. She graduated with a BFA from Columbus College of Art and Design and lives in Ohio with her family of entrepreneurs. Visit www.keturahariel.com. and save 20% on your website order!